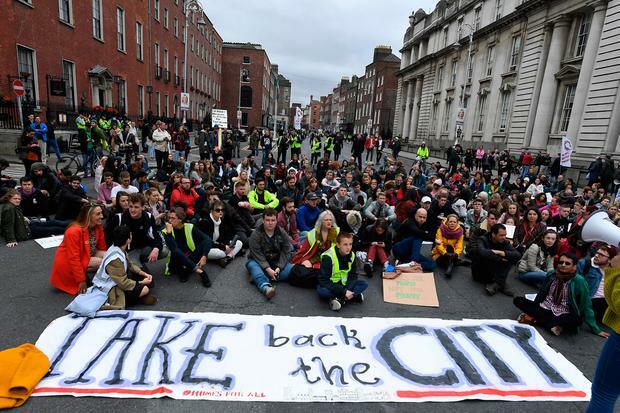 Homeless campaigner Fr Peter McVerry believes that there are at least half a million people in the country whose housing situation is causing them serious distress. Speaking at the 'Raise the Roof' rally in Dublin yesterday, which drew more than 10,000 people, he said: "This protest is not just about homelessness, this protest is about housing." Fr McVerry said that this figure, as well as including homeless people, also included people who are living in overcrowded households; people who are living with their parents because they cannot afford to move out; people living in poor-quality private rented accommodation; people who are living in rented accommodation but are paying a huge amount of their income just to keep a roof over their head, and people in mortgage distress of more than two years. "We have a housing policy that is affecting a huge number of families from all social groups except the very wealthy in this country," Fr McVerry said. He said that the housing policy isn't working. "Most young people today growing up will never be able to own their own home." The Government policy relies on the private rented sector. But the private rented sector is part of the problem, not part of the solution, he said. "There will be an election coming sometime in the short or foreseeable future," he said. One of the slogans that he has advocated for the election is "Vote Homelessness Out". 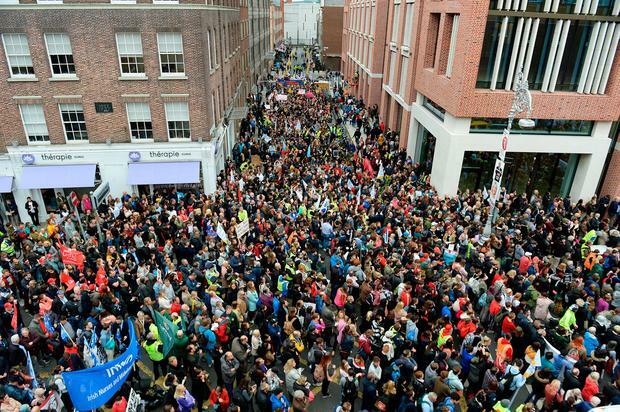 The rally brought together students, trade unions, housing and homeless charities and other groups. 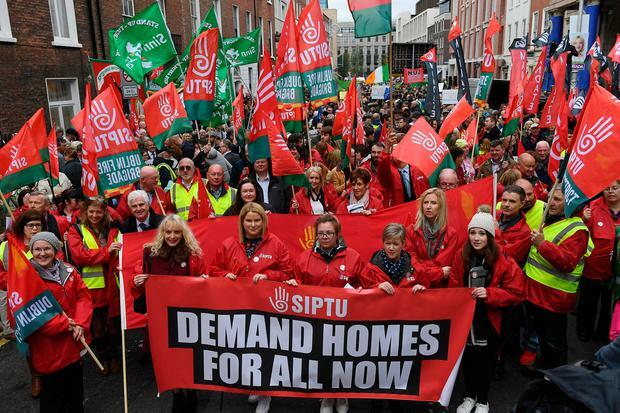 It came ahead of a Dáil debate on a motion tabled by Solidarity/People Before Profit - supported by all parties - calling on the Government to declare a housing emergency. Housing Minister Eoghan Murphy defended the Government's record on housing and outlined the targets set out by his department to date. He appealed to all TDs not to oppose developments in their constituencies from today on, but to leave planners to do their work.